£30m New Build school. 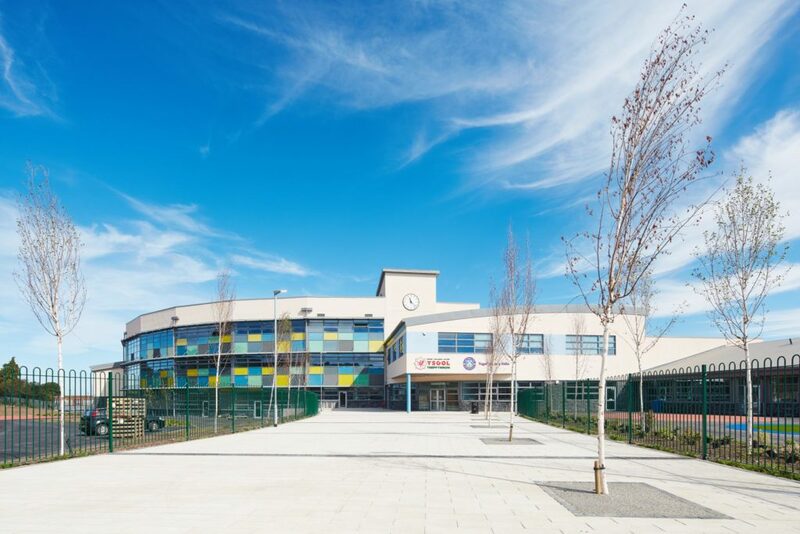 part of the Welsh government’s 21st Century Schools programme.The three-storey section is 600 place secondary school with the single-storey a 315 place primary school. 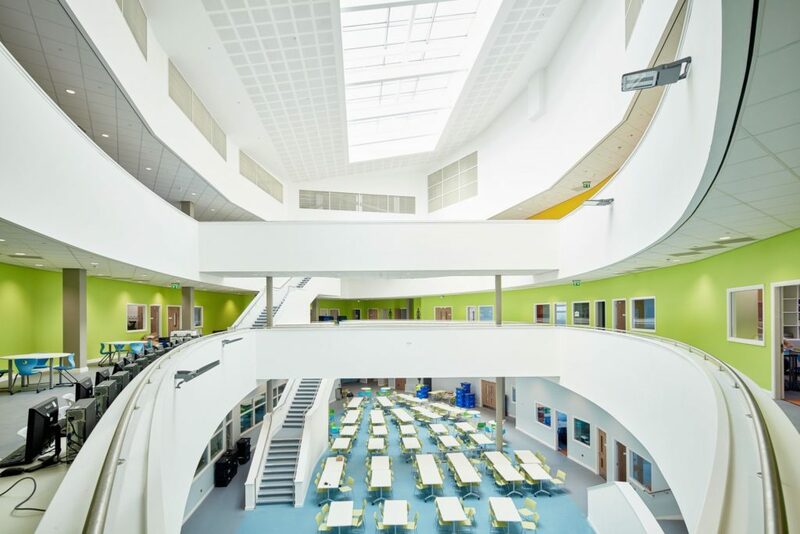 Altro Expresslay (looselay vinyl) to circulation areas, Burmatex carpets and Altro safety vinyl to classrooms.